Cercis canadensis.William Cullina.New England Wild Flower Society.gobotany.newenglandwild.org (Accessed 12/2014). Cercis canadensis is a tree to 12 m tall, bark smooth, blackish with orange underbark, twigs zigzagged; widely branched. Leaves broadly heart-shaped to 12 cm long, usually wider than long, tip blunt to pointed. 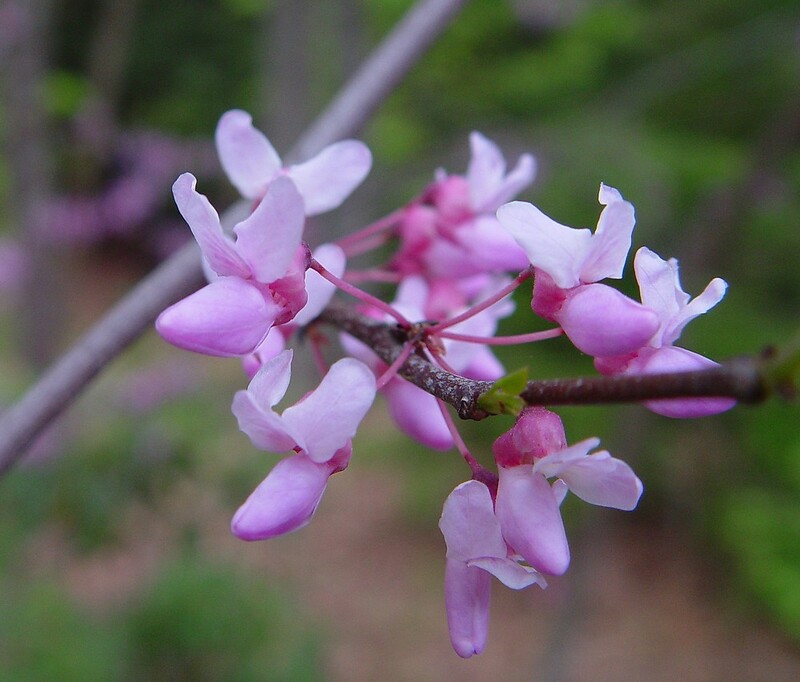 Cercis canadensis flowers. By Arthur Haines. Copyright © 2017. New England Wild Flower Society. gobotany.newenglandwild.org (Accessed 12/2017). Flowers magenta-pink, to 1 cm long, irregular, somewhat pea-flower-shaped, in small clusters along stems, blooms May. 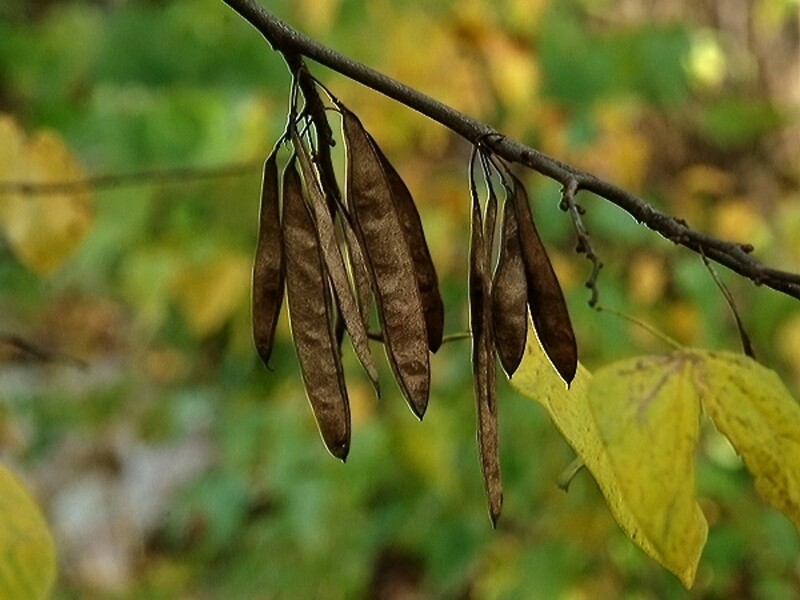 Fruit dry pods to 10 cm long,1.5 cm wide, flat, pointed at both ends. Seeds dispersed by wind and animals (Burns and Honkala 1990). Cercis canadensis fruit pods. By Paul S. Drobot. Copyright © 2017 Paul S. Drobot. Robert W. Freckmann Herbarium, U. of Wisconsin-Stevens Point. New England Wild Flower Society. gobotany.newenglandwild.org (Accessed 12/2017). Origin: Southern PA and south. Habitat: Escaped from cultivation or in remnant overgrown horticultural sites, soil pH 5-7.9 (USDA, NRCS 2010). Notes: Sometimes damaged by wood borers and leaf feeding insects. Sometimes infected by a leaf anthracnose, Mycosphaerella cercidicola and other fungi (Sinclair et al. 1987). 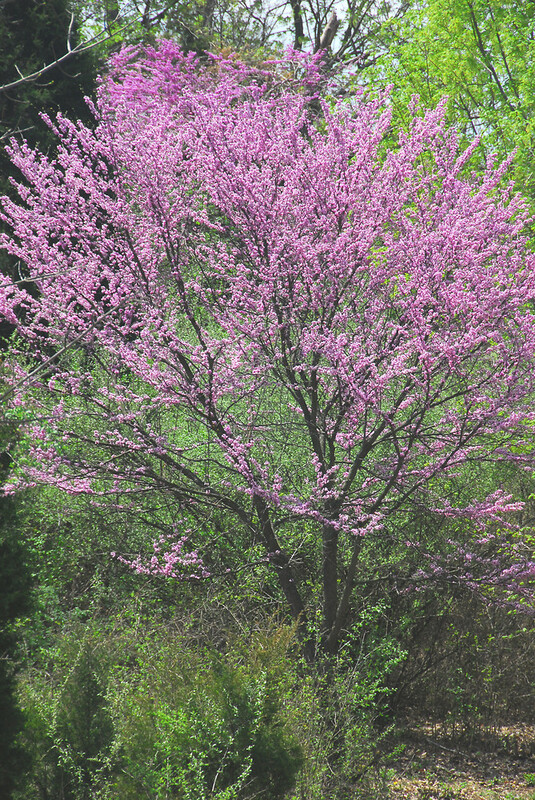 Cercis chinensis is smaller but very similar, leaves are lobed at base and flowering is more dense (Dirr 1990; USDA, NRCS 2010). Another cultivated species is C. reniformis a native of Oklahoma and Texas. It may be a variety of C. canadensis (Yatskievych, 2006).